So…we have a wooden wall bed, and boy does it look ABSOLUTELY FANTASTIC! Can you tell that we’re a little bit excited about it?! For a long while now, we’ve been asked by our customers if we can make a wooden wall bed. And so over the last few months, we’ve been working on one. And after lots of perfecting, it’s finally here and available to view at our showroom too. 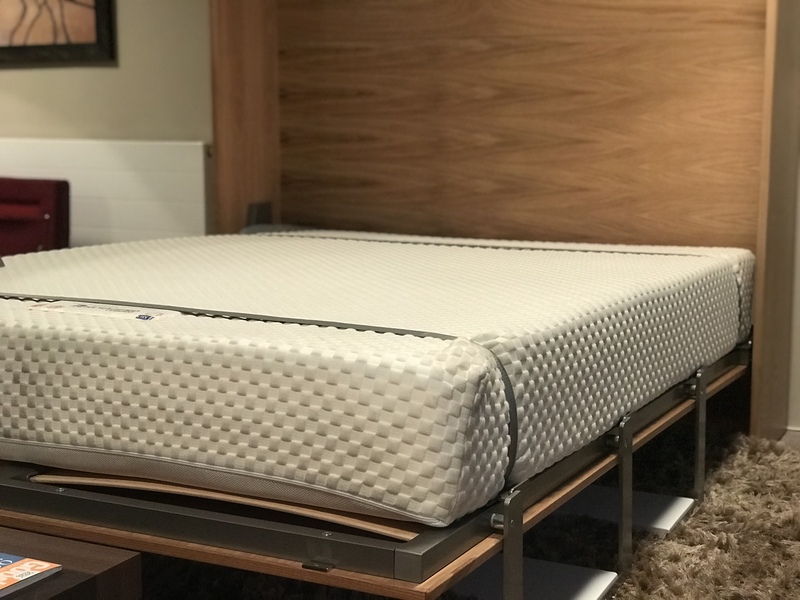 All of our wall beds are made to order, and so you can choose exactly how you would like it to be finished. Colour wise, we’ve offered any of the RAL paint finishes. You’ve been able to pick one colour, have two, three or even four colours if you would like. And all at no extra cost. Lots of choice really, but we’re always working on ways to introduce new things. So we now have a wooden wall bed in the mix too. 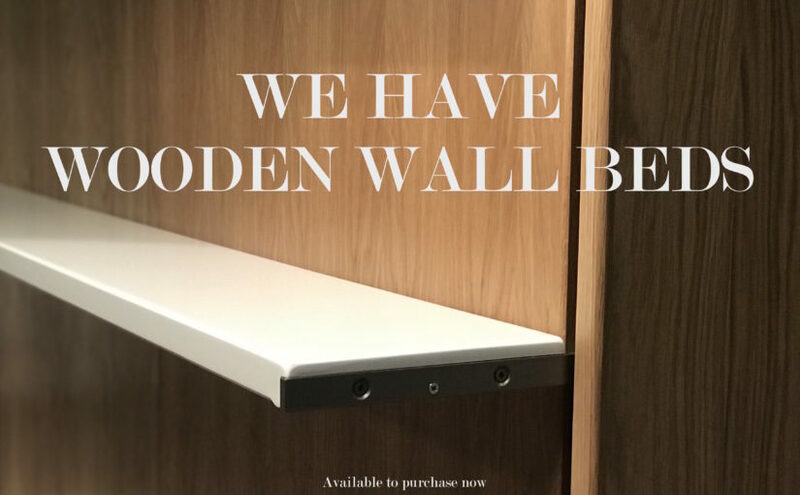 As the wooden wall beds are a new concept, we are currently only offering two shade options. But as the most popular wooden shades, we know that won’t be a problem. Oak is an attractive light wood with a prominent grain. Walnut is a luscious dark wood and is generally straight grained. This is our Oak Vertico 35, with 3 shelves. Both wooden options** can be added on to any one of our wall bed models – Vertico 35, Vertico 60, Horizontal 35 or Horizontal 60. And as an option cost, would add £395.00. Of course the painted wall beds are still available too if you’re not a wooden fan! And we can also offer our wall beds primed for you to paint in your own paint shade. **Available to purchase now via email in both Oak and Walnut finishes and will eventually be available to purchase directly through our website.